It is the time where our actions need to come from a different source, have a different expression, have a deeper meaning – have wisdom. The Inner Core is the place where new ideas find their form and expression. What is our Identity made of? What is it we identify ourselves with? What different aspects and layers can we find behind “identity”? How can we be more aware of ourselves and what has this got to do with our development? What is it that wants to emerge now? We will share our individual experiences, impulses and insights. We will tap into new experiences, feel, express and exchange. Finally, we will reflect on everything, discover hidden aspects and potentials of our self, get a fresh view and grow to clarity and vibrant power for life. We want to explore what wants to be created, to understand the source of your motivation by shifting to the inner place from where it starts. We will come together open, curious and willing to see life from the eyes of the other, connecting through the inner core, engaging for what wants to emerge. 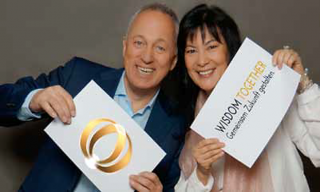 Our new findings, insights and outlooks will build the basis and centerpart for our next WISDOM Together Conference in Munich, end of June 2019. WISDOM Together Member Retreats offer a great opportunity to meet like-minded people and together explore and develop the core themes of today which are essential and powerful driving forces of our personal development as well as of the transformation process in general. If our ideas resonate with you, but you are not a member yet, feel free to join us and thank you for being a part of Wisdom Together.